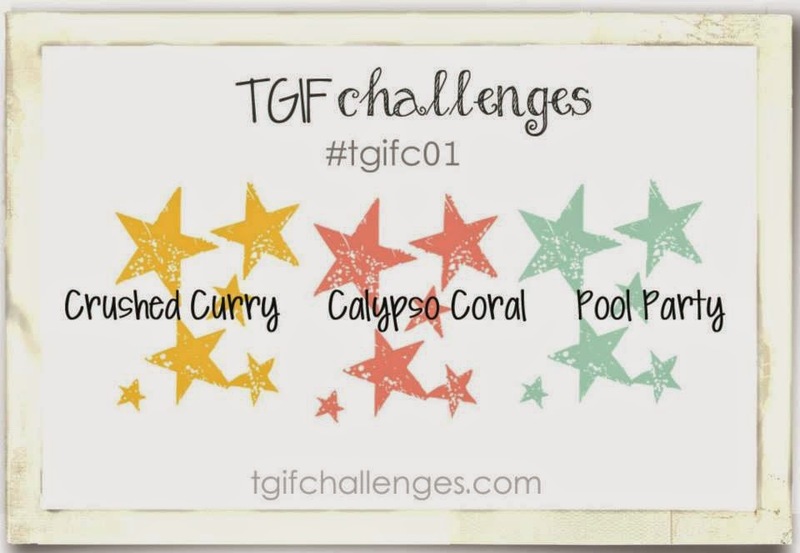 I am so excited to be part of a new challenge blog called TGIF Challenges. Every Friday, challenges will be released and you have a week to link up. It's meant to inspire you to go outside your little box. No street allowed. Our first challenge is a colour challenge. I struggled with this but I counted on my "pop of colour" to get me through. And you can too! Have a great day and make sure to play along! Perfect subtle use of the colours! 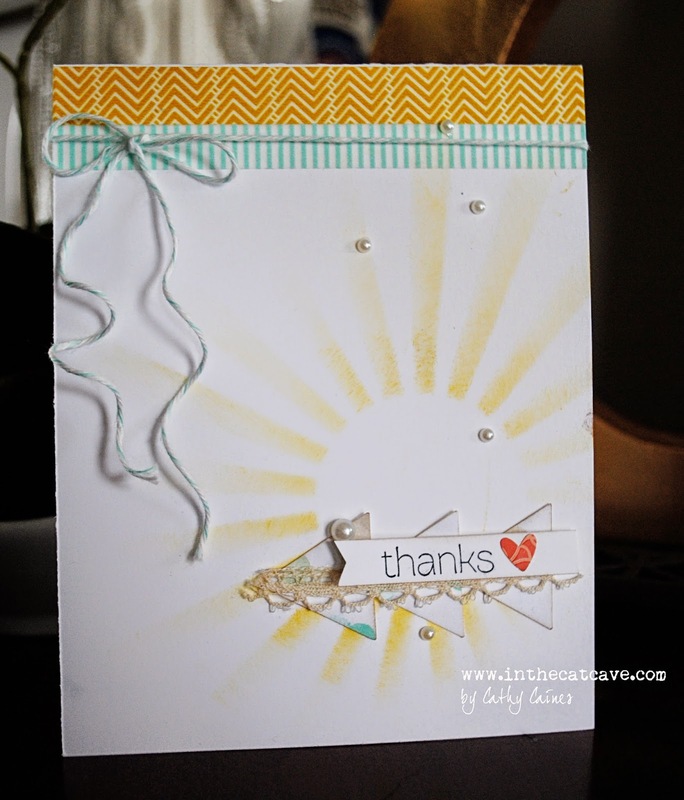 Love the CAS style and the look of the long curvy tails on the bow. I also love little h's...they're so cute with their straight backs and little humps...Lol. FUN, love the POP! Lovely design for this NEW challenge, congrats and good luck on this NEW creative venture!! !